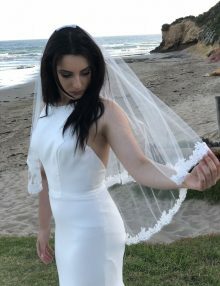 Sabrina is a lovely soft veil. 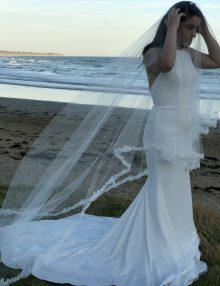 Looks lovely with just about any wedding dress! 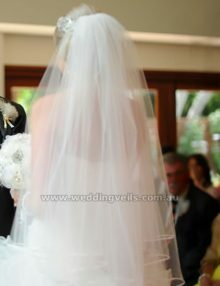 This two tier veil has a thin stitched edge which gently outlines the edges. 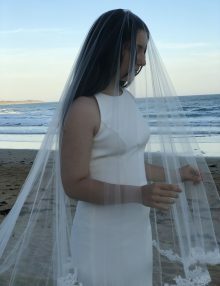 It can be worn high up on the head, or towards the back of the head. 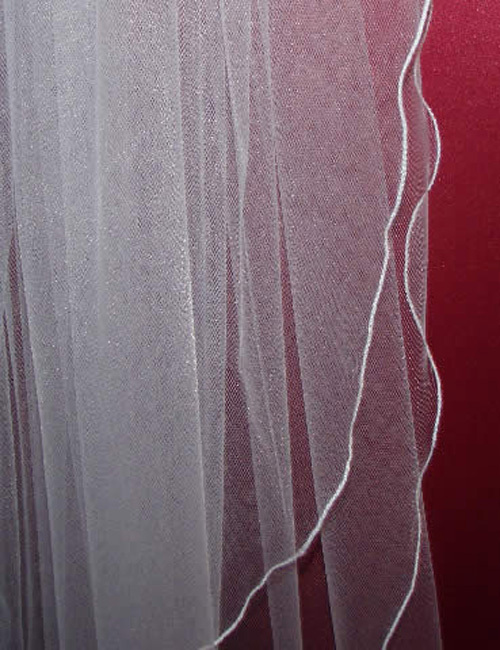 Fingertip length (100cm) with the top tier waist length (80cm). 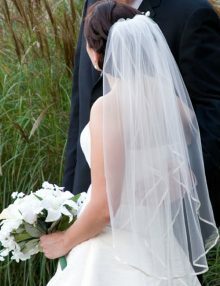 The top tier can be worn as a blusher as you make your grand entrance down the aisle. Made in extra fullness. 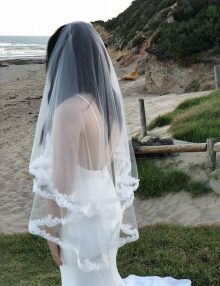 A charming and romantic veil!